1) Keep your usernames and passwords secure. One of the most common mistakes WordPress users make is to use generic usernames and passwords. For instance, many users will use admin as their username, which is very easy for hackers to guess. As for passwords, using only letters or even letters and numbers is too easy to crack as well. It’s best to use a combination of letters, uppercase letters, numbers, and symbols to ensure maximum security. It can be really tempting to use the same password that you’ve used on other sites in the past. The problem with this, though, is that all it takes is one hacker to break into one account and then suddenly all of the accounts using that password are compromised. 2) Take advantage of two-factor authentication. Even with a strong username and password, it’s still possible for hackers to break through your defenses and steal your vital data. One of the best ways to defend against this theft is to take advantage of what’s called two-factor authentication. Along with requiring your username and password, two-step authentication requires that a one-time use code be entered in order to gain access to the account. This code will be sent to either your device or email address. This will make it far more difficult for hackers to break in. There’s a growing trend of automated systems being used to break into accounts on a large scale. It really isn’t cost effective for most scammers to individually hack each and every account out there, so they tend to employ what are known as botnets to do the dirty work for them. It can also be difficult to trace back the origins of these bots, which makes it even tougher to catch the scammers in the act. The best way to block the robots is to require a reCAPTCHA to access the account. This will be an image or audio file that needs to be typed out. A bot can’t possibly access these files, which will effectively keep them out. Another clever way to block unwanted access to your account is to first require the individual to login to your server before logging in to the actual site itself. Just as many authentication steps can be employed here, so you’ll effectively have double the protection. While there’s always the odd skilled hacker who can crack even this, the odds of that happening with this kind of security process will be very close to zero. Just as with everything else in life, you really are better safe than sorry. Everyone tends to think that it won’t be them who deals with this kind of situation, but literally anyone is vulnerable to a security attack. If corporations that invest millions into security can be hacked, so can an individual. 5) Always keep WordPress up to date. One of the most common ways that scammers and hackers exploit the data of WordPress users is to uncover loopholes in the WordPress security code. What this means, then, is that users who are running off of outdated versions of WordPress will be especially vulnerable to cyber attacks. WordPress updates fairly regularly. They do this in order to add features that add functionality for their users, but they also do this to increase security. Each update they create serves as a way of patching up the loopholes that existed in the previous version. Just as the scammer is starting to get a handle on the version of WordPress that’s been out for a while, the company releases a new version that renders all of their exploitative code useless. This won’t solve all of your security issues, of course. You should still augment this strategy with a comprehensive strategy that involves secure usernames and passwords, two-factor authentication, and the link. But simply keeping WordPress up to date will eliminate a lot of security issues. There are a variety of reasons why someone thinking of developing a new site would turn to a platform like WordPress. It’s a service that’s been around for a number of years and yet is still just as popular as ever. This is no coincidence when you think about it, though. The site creation service is quite intuitive and focuses on the unique needs of the site creator. It’s relatively easy to make a new site, and a user can create a professional site in a matter of minutes or hours. This site will look crisp and appealing to just about any visitor to the site. 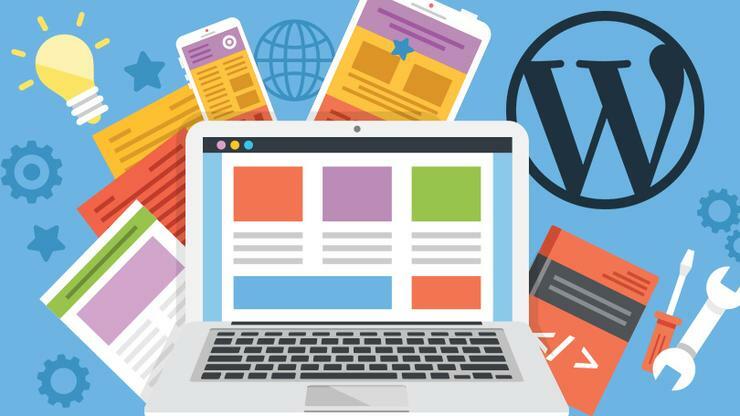 While all of these benefits are quite valid and appealing, there are also a variety of downsides to choosing WordPress hosting as your site creation service. With that surge in popularity comes a commensurate surge of hackers utilizing a variety of methods to steal vital information. With the rise in stories about massive data breaches and identity theft, it’s more important than ever to ensure that data is as secure as it can possibly be. By following these tips, the average user on WordPress will make it that much more difficult for a hacker to infiltrate their account and steal their data. By employing a combination of these methods, it will be nigh impossible for scammers to target such a user.